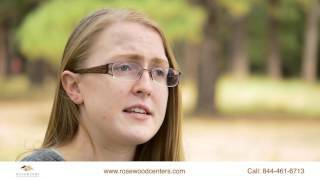 Dena Cabrera, Psy.D., CEDS, is the Executive Clinical Director of the Rosewood Centers for Eating Disorders. Dr. Cabrera oversees all clinical aspects of patient care, leads program development and directs staff training and supervision throughout the Rosewood system. Prior to being appointed as Rosewood’s Executive Clinical Director, Dr. Cabrera served two years in the role of Clinical Director of Adolescent Services, and Director of The Rosewood Institute. Dr. Cabrera is a Certified Eating Disorders Specialist with a wealth of diverse clinical experience, including 19 years treating individuals, families and groups with a range of medical and psychiatric disorders. Her specialized training includes neuropsychological and psychological assessment, dialectical behavior therapy, as well as the cognitive-behavioral treatment for patients with developmental disorders, behavioral problems, depression, anxiety, and eating disorders. Dr. Cabrera is a nationally recognized eating disorders expert. She has authored numerous articles and publications and is honored by her academic and clinical peers for contributing vital resources to the field of eating disorders. She most recently co-authored Mom in the Mirror: Body Image, Beauty and Life After Pregnancy (Rowman & Littlefield), a first resource of its kind that speaks to moms and those who love them through a personal and compassionate lens that assists in healing from body-image disturbances and eating disorders.